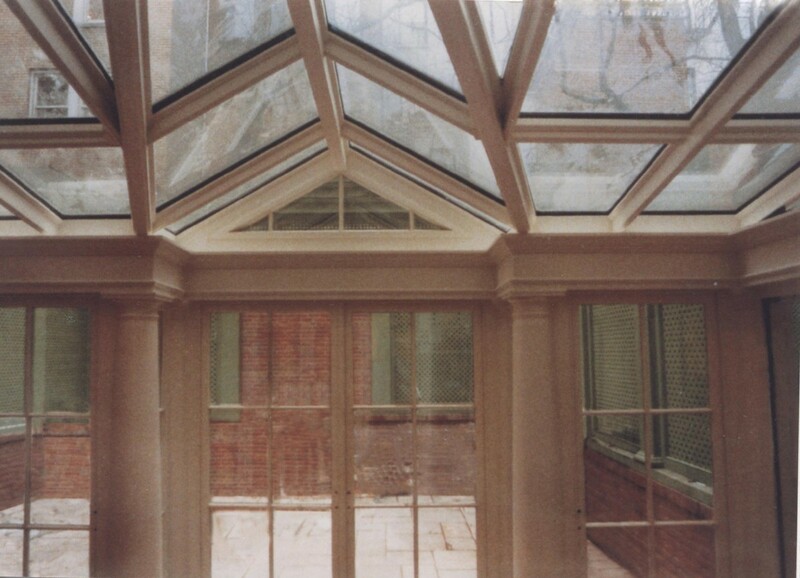 This custom reverse gable roofed conservatory was fabricated with a classic cove and bead molded Douglas fir frame. All fixed leaves and operable doors are pattern grade mahogany with true divided lite Georgian grilles. We also have surface applied round columns at all bearing and intermittent posts interior and exterior, decorative built up eave assembly, high performance glazing, 16 oz bright copper exterior roof system, and a cast aluminum spire finial and acorn cresting.